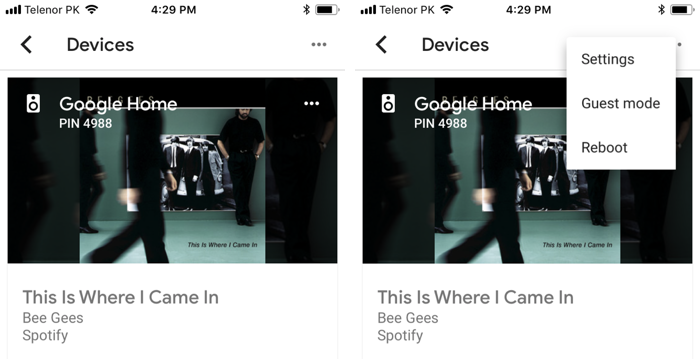 Here’s a complete step by step guide on how to pair iPhone, iPad or Android with Google Home over Bluetooth for streaming music. 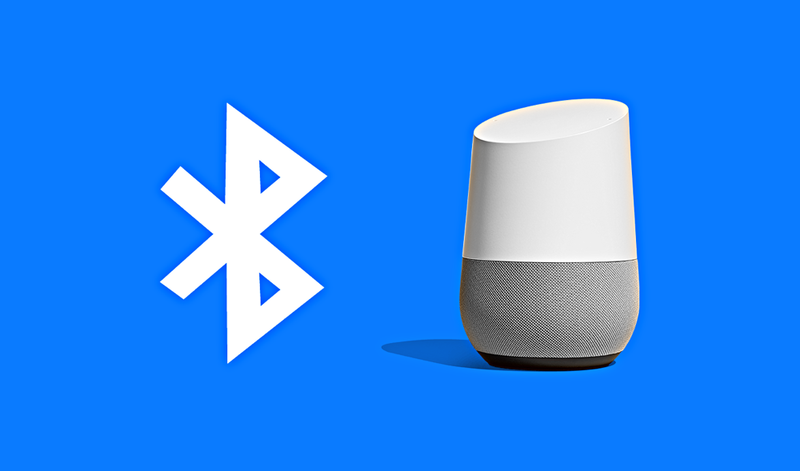 At Google I/O last year, the company announced that it was bringing Bluetooth pairing support to Google Home. And it did so by pushing a software update to Google Home over the air. This meant that you were not limited to what the Google Home offered out of the box as you could use the device as a Bluetooth speaker too. So, with that being said, in today’s guide we’ll show our readers how they can pair their phone or tablet with Google Home and stream some tunes the way they like. There are two ways you can go about this process. Either you can use the Google Home app (iOS/Android) or you can use your voice to initiate the pairing process. We are going to cover both. Note: You must be on the asme WiFi network as your Google Home in order for this to work. 1. Assuming you have downloaded the app and you are signed in with your account, launch Google Home from your home screen. 2. Now tap on the ‘Devices’ button on the top right hand corner. It’s the little icon that looks like a small speaker. 3. If you have multiple Google Home devices at home, find the one to which you want to pair with. Now tap on the three ‘dots’ icon on the top right hand corner. 6. 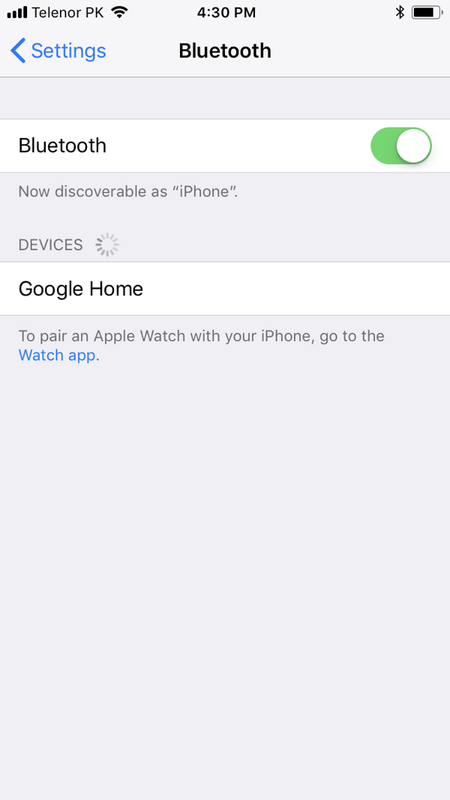 Select ‘Enable Pairing Mode’ from the bottom right. 7. 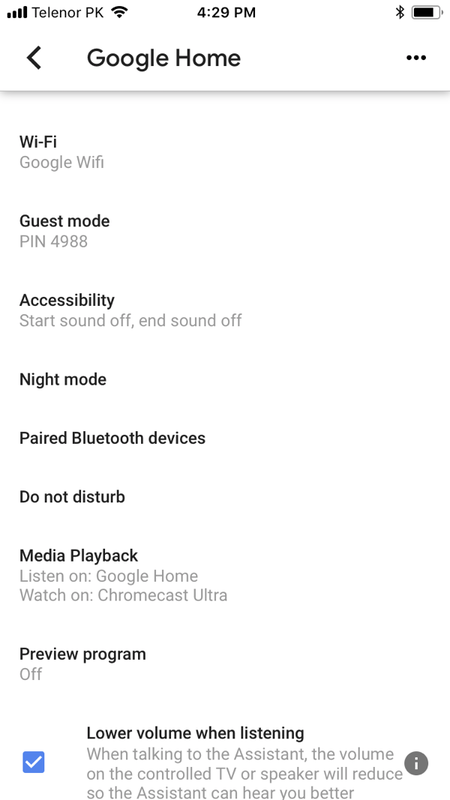 On your phone or tablet simply go to the Bluetooth options and select Google Home. The pairing will happen instantly. You can now listen to anything on your Google Home speaker. 3. On your phone or tablet just select ‘Google Home’ and you are good to go. If you’re asking me, I’d go with the second option of using your voice to pair with Google Home. It’s easy, quick and gets the job done in a matter of seconds. 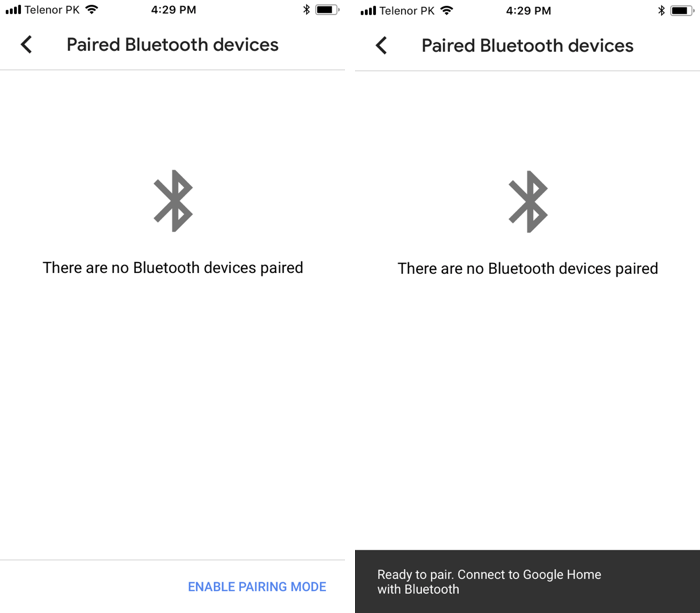 But, eventually, you will turn towards the Google Home app if you are going to manage your paired devices. There’s no getting around it.